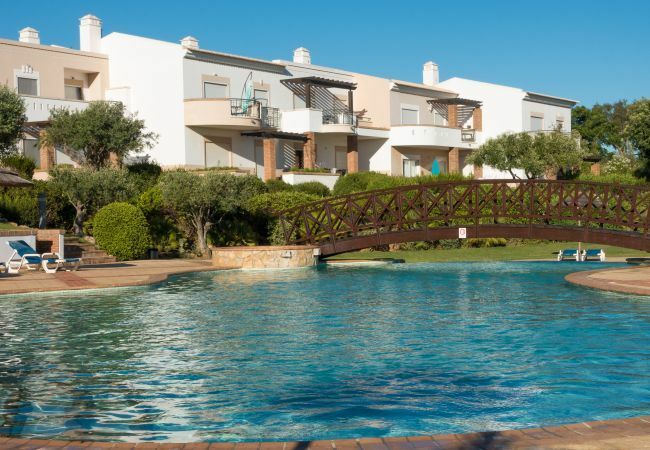 This modern, spacious 1-bedroom first-floor apartment is situated on a fabulous resort in beautiful countryside near Lagos & Alvor, and just 45 minutes from Faro airport. 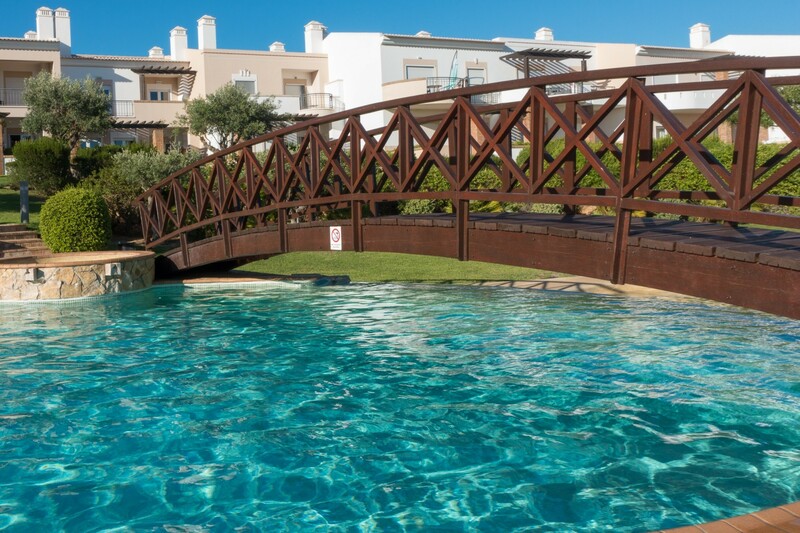 The famous 5km-long ‘Meia Praia’ beach that stretches from Lagos to the Alvor estuary is just a few minutes drive from the resort. The apartment is south-west facing and is furnished and equipped to a high standard. 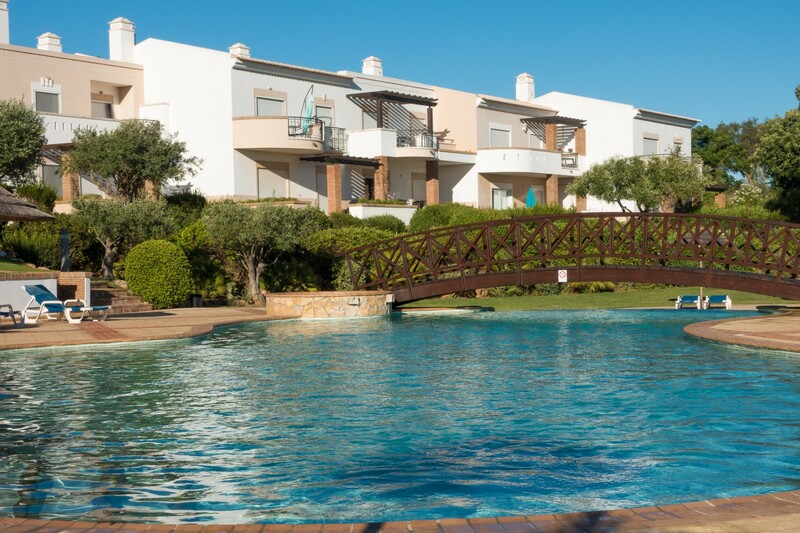 From the balcony you can enjoy fabulous views of the gardens, pool and the surrounding countryside, all the way to the Alvor estuary and ocean. The kitchen is fully-equipped and includes a dishwasher, washing machine, microwave and a coffee machine. The lounge is tastefully decorated with ample seating and a dining table seating 4 persons. The spacious bedroom has a double bed and french windows with views across the gardens and pool. The apartment has fly-screens and fans in the lounge and bedroom. 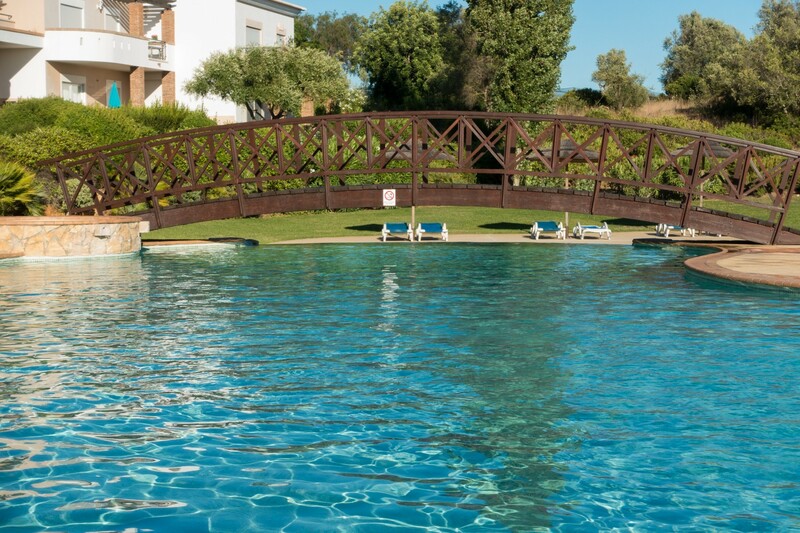 The resort (Vale da Ribeira) has a large pool with waterfall and a wooden bridge and for those with small children the paddling pool area is ideal. The pool terrace has sun loungers and parasols and an outside shower. The surrounding mature gardens are stunning making it a really attractive place to stay. 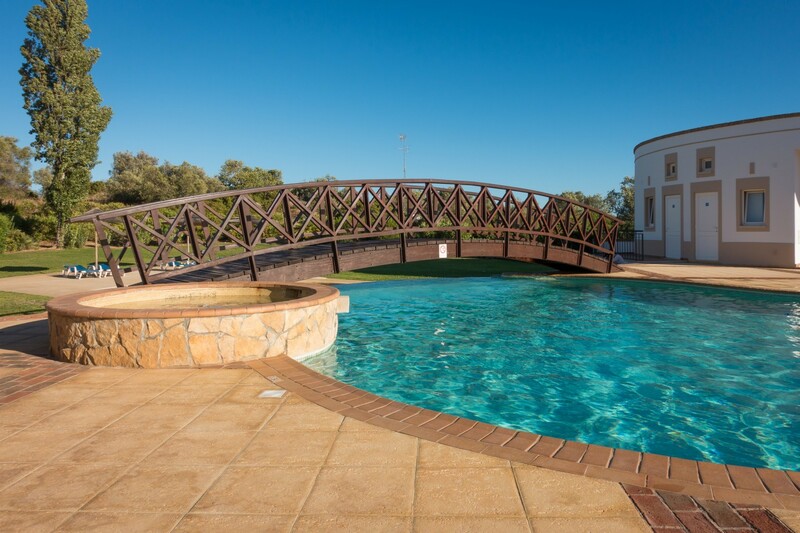 It is a perfect location for a relaxing holiday at any time of year. 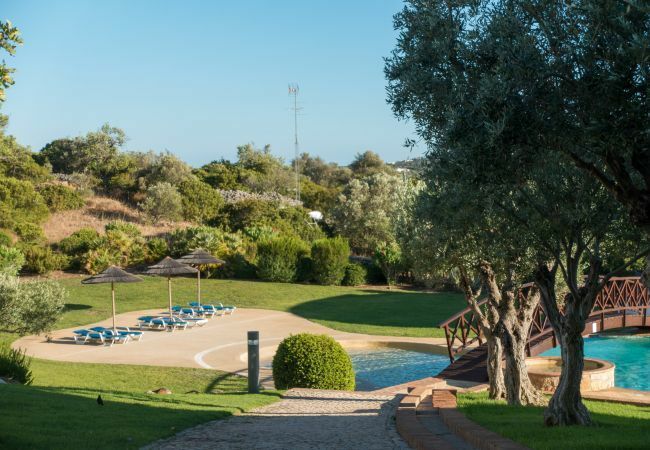 The location of the resort will also appeal to motor-racing enthusiasts as it is near to the 'Autódromo Internacional do Algarve' which is one of the best and most modern circuits in Europe. The Go-Karting track is very popular with visitors to the Algarve, providing a great day out. 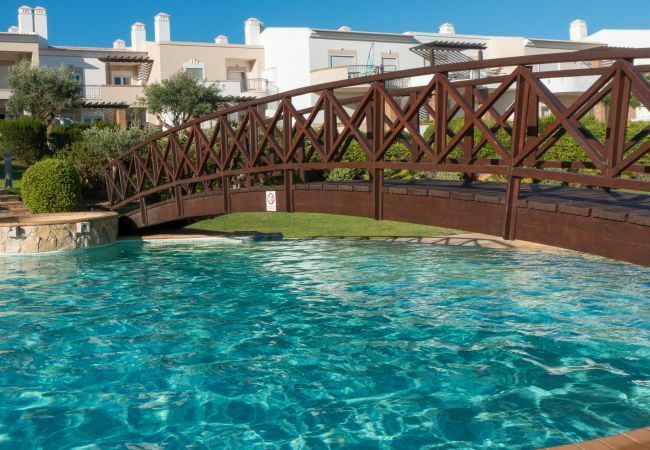 All guests are supported locally by a professional management company - Destination Algarve. 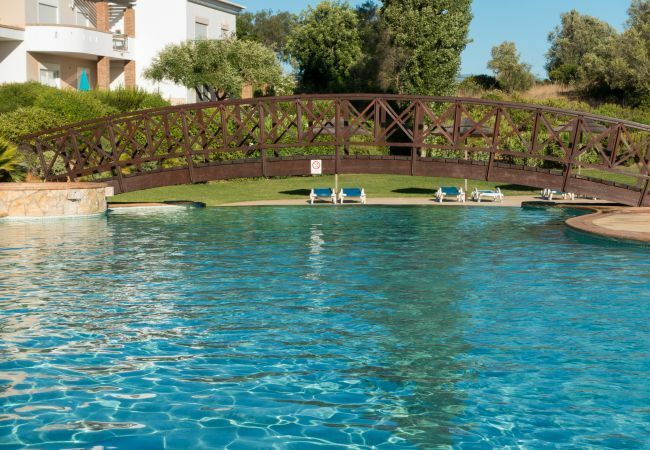 - TV, 1st floor, garden furniture, terrace, barbecue, internet (Wi-Fi), hair dryer, 65 m² property, electric heating, communal+children's swimming pool, Open-air parking in the adjoining building, 2 fans. Security Deposit (refundable): - Amount: €250.00 /booking. - Payment method: credit card. - With the last payment. - Up to 56 days before the arrival date, 25% of the booking amount. - 55 days before the arrival date, the full amount of the booking. - In case of a no show: the full amount of the booking.